We have installed HJ Mechtronic lubrication system on board our managed vessel Aviona designed by our reliable partner company Hans Jensen Lubricators. It is an electronically controlled and mechanically driven lubrication system designated to improve lubrication performance i.e. optimize cylinder liner and piston ring condition and at the same time reduce the cylinder oil consumption. The system is controlling the cylinder oil dosage proportional to the load (and sulphur (optional)). It does this by bypassing one or more injection points per piston stroke. Company Hans Jensen Lubricators assured us that extensive customer feedback from a vast number of installations proves very good operational experiences in terms of savings and cylinder liner condition. The payback period is normally less than 2 years. A project was especially made for motor vessel Aviona and particularly for the MAN 6S50MC-C Main Engine installed there. 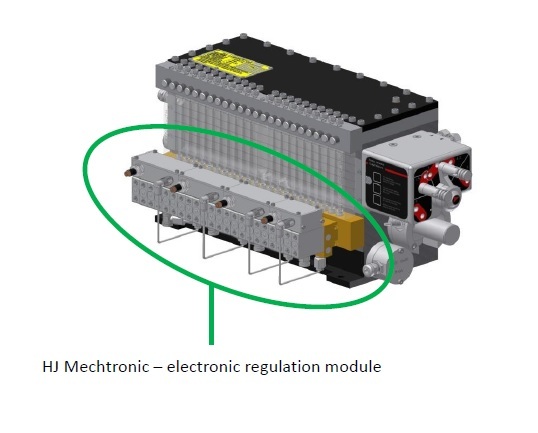 The project stated that the expenses consumed for this lubrication system realization should be returned back in a year thanks to Main Engine Cylinder Oil decreased consumption. After two weeks of practical experience we can see the actual oil decrease up to 40%. Now we plan to implement this project throughout the rest of our managed fleet.